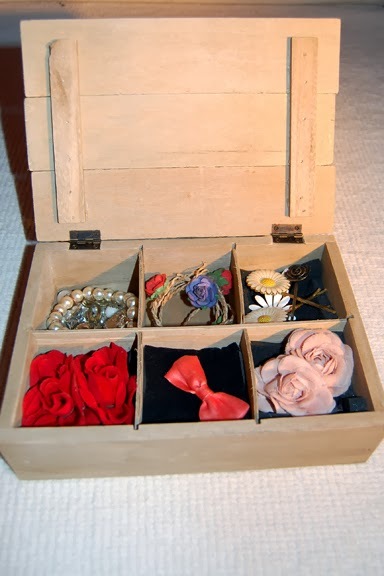 I can't tell you how long I've been looking for a wooden box with separate compartments to store my bits and pieces for my hair. Every time I see a nice box I open it to be disappointed when it is just one big space inside. When LiveLaughLove got in touch about reviewing something I jumped at the chance to get this lovely box. I ordered it about 4pm on wednesday and it arrived in the post by Friday. It arrived package carefully in a cardboard box and I couldn't have been more pleased! 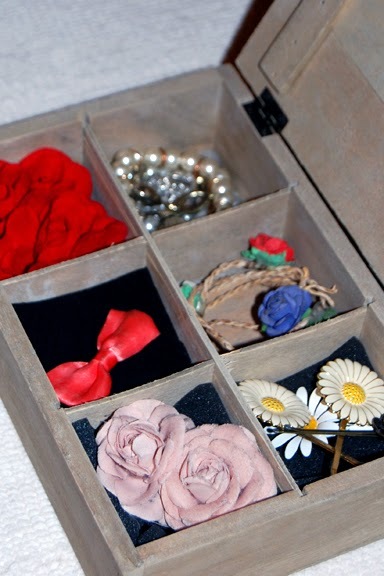 The Botanical Range Wooden Box* has a lovely homemade feel to it and all that adds to shabby chic feel. The decoration looks hand painted and the colours are beautiful and subtle. It is the perfect size for sitting on my shelf- Tickle sits with it and they look super cute together. At the moment I am still looking at things to fill it nicely. I need to get more flowers for my hair but before now I didn't have anywhere to store them nicely. I can't wait to get some for the festival season in the summer. I love having cute things like this around my bedroom. I can't think of much else to say about the box apart from I love it. I'm looking forward to filling it with beautiful accessories. Hopefully it will feature in my bedroom post soon when I get that all sorted out. I'm still looking for a bedside table to upcycle. The Botanical Range also has some other lovely items in it so you should take a look. What do you think about this box? Where have you bought hair flowers from? What a cute storage box! This is such a beautiful box - I love the vintage envelopes and bird print. Also, Tickle is SO cute!